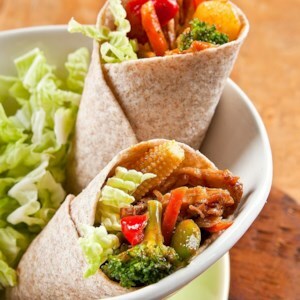 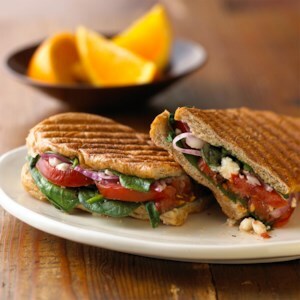 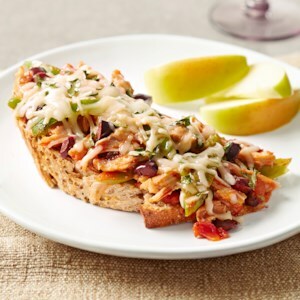 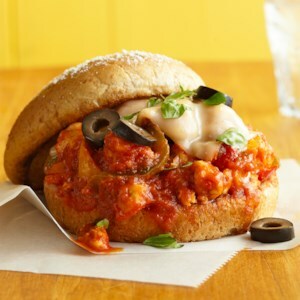 Find healthy, delicious hot sandwich recipes, from the food and nutrition experts at EatingWell. 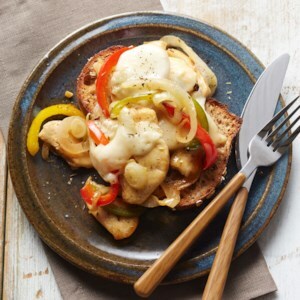 These open-face sandwiches are a breeze to make and a pleasure to eat! 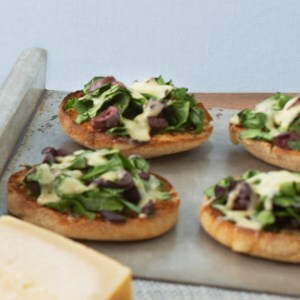 Fresh spinach, fruity olives, and Dijon mustard are broiled on English muffin halves and topped with mild melted Gouda cheese--just 15 minutes from start to finish. 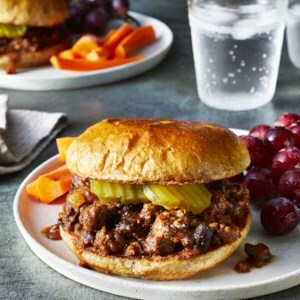 This simple recipe for slow-cooked sloppy joes is perfect for vegetarians as the traditional beef is replaced with heart-healthy lentils. 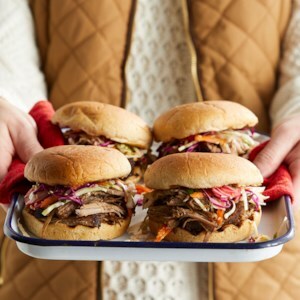 These pulled pork sandwiches are designed to travel to a tailgate or picnic. 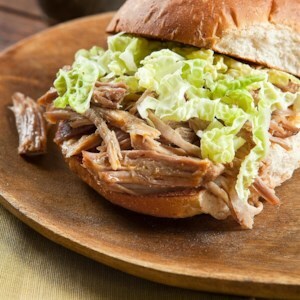 Plan ahead to prep the pulled pork in the slow cooker a day ahead. 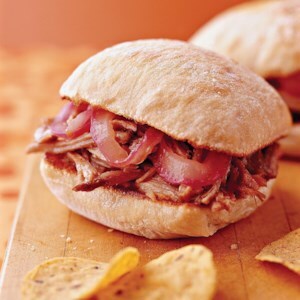 Tote the pork in an aluminum pan and reheat it on a portable grill. 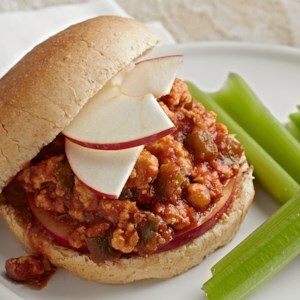 Here's a makeover of traditional Sloppy Joe sandwiches--instead of ground beef and a tomato-based sauce, these Sloppy Joes are made with ground turkey breast and a cheesy mayonnaise-Worcestershire sauce. 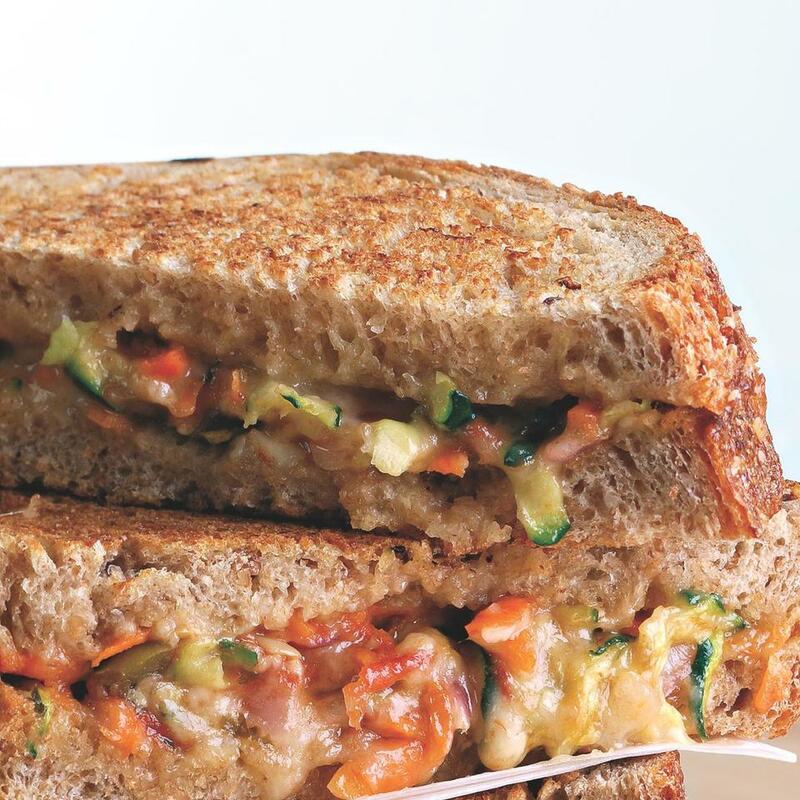 Serve them with a helping of ready-to-eat carrot chips for a complete meal. 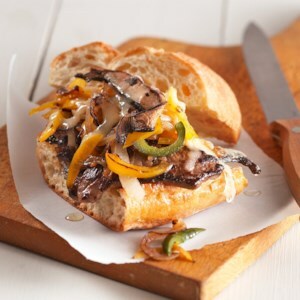 By scooping out the soft center of the baguette, you'll have more room for the sautéed mushrooms, peppers and onions in this heavenly cheesesteak sandwich. 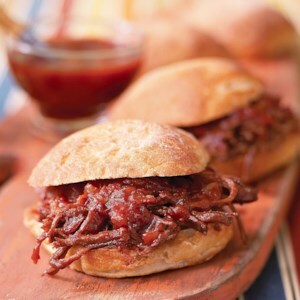 Making brisket in the slow cooker ensures it is tender, delicious, and full of flavor. 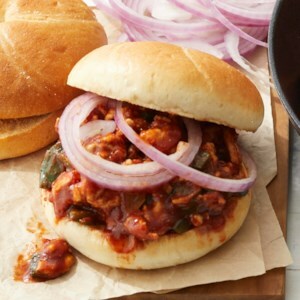 Serve this BBQ Brisket on hamburger buns for a tasty and satisfying meal. 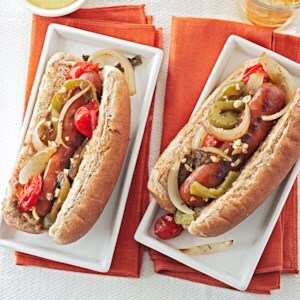 Oregano, roasted red pepper, and garlic bring flavor to the forefront in this recipe. 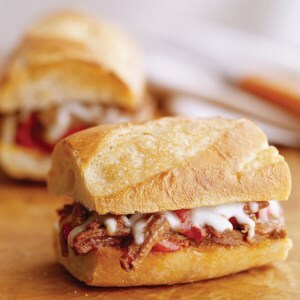 Let it marinate and cook in the slow cooker for a few hours, and then place on a bun with provolone cheese for an incredibly delicious meal. 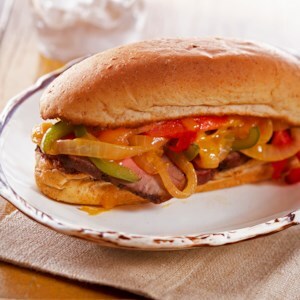 The onion, cilantro, and lime juice give these pot roast sandwiches a zesty Mexican-inspired flavor. 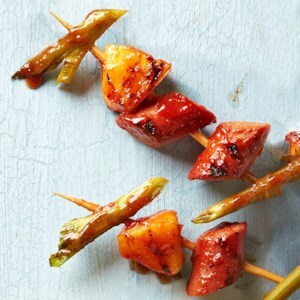 Try these tasty appetizers at your next barbeque party, you won't be disappointed! 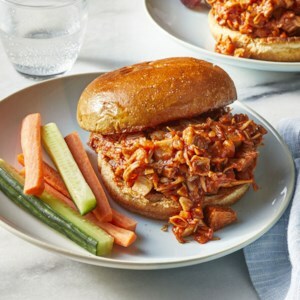 Spice up your pulled pork sandwich with this Asian-inspired version. 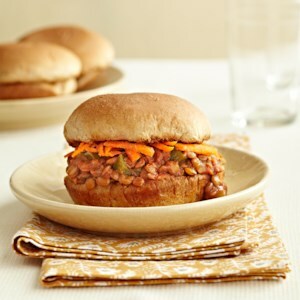 It's flavored with with five-spice powder and soy sauce, and filled with cabbage for a crunch.